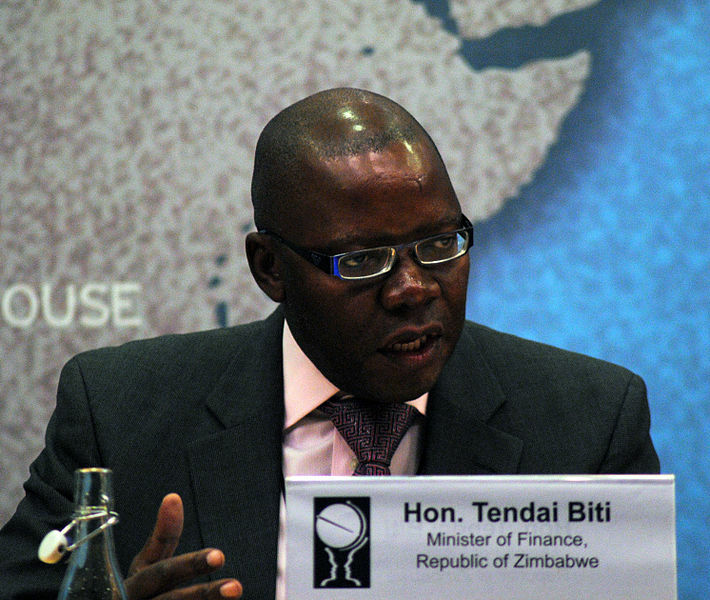 Zimbabwe's former Finance Minister Tendai Biti. Photo released under Creative Commons by Chatham House. Zimbabwe's former Finance Minister Tendai Biti's home was reportedly bombed in the early morning February 25, 2014, Twitter users and other media houses announced. He is one of the key members of the opposition Movement for Democratic Change and a staunch critic of President Robert Mugabe. Biti is the secretary general for Movement for Democratic Change, led by former Prime Minister Morgan Tsvangirai. His home was first bombed in 2011. No suspects have been arrested so far. @freedomtrapped @lanceguma Sad bad and mad, all of it. I take no sides. Bob's [president Robert Mugabe] eating popcorn and making jokes about political violence. Our opposition parties have their fair share of hooligans, but petrol bombs are the domain of the state security agencies.